B-Folders is designed to securely store and organize your business and personal information in folders - like in a safe. You can store notes with trade secrets, passwords, credit cards, contacts etc. jot notes with ideas, tasks etc. keep lists of tasks, shopping lists etc. 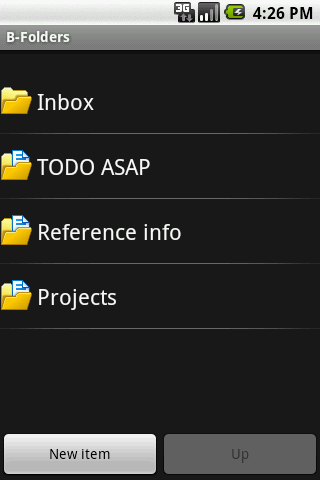 B-Folders software is available on Android Market. You can also download latest version.